While the healthcare industry landscape is reshaping with new technologies emerging regularly, it has been noted by the Centers for Disease Control (CDC) that one in six newborn children will be diagnosed with a developmental disability (such as autism,Down Syndrome and ADHD); making this a rapidly growing number of individuals with such disorders that are in need of dire help. While Applied Behaviour Analysis (ABA) is the main treatment methodology that has been medically recommended, only approximately 30,000 Board Certified Behaviour Analysts (BCBAs) exist worldwide to serve the hundreds of millions of individuals with a developmental disability, a bleak ratio. Moreover there is a complete dearth in the level of public support services and available trained professionals, including in the education and healthcare systems that further amplify the aforementioned challenge. Acting as a catalyst for a positive change in this industry is New York- headquartered Rethink whose program offers a comprehensive suite of online treatment tools and caregiver supports specifically designed and developed for organizations, schools and families worldwide. Developed by its internationally-recognized team of experts, the Rethink program provides research-based teaching strategies grounded in the principles of Applied Behaviour Analysis (ABA) and delivered via over 1,500 highly engaging on-demand video-based modules. These video demonstrations are used to train caregivers, parents, professional and paraprofessional staff how to manage problem behaviours as well as teach an individual with a developmental disability certain critical skills. The feature-rich platform offers real-time visibility on progress through automated data-based reports that facilitate coordination across care team members, and allow for robust data analytics on outcomes. In addition, the end-to-end platform can also be utilized by Program Specialists as a form of job-embedded professional development and to augment coaching caregivers and other support staff. Rethink also offers a broad range of technology-enabled remote service options, ranging from short-term web-based consultations with Rethink’s Board-certified behavioural therapists to ongoing program development initiatives supported by an in-house team of expert clinicians. Moreover, Rethink’s practice management offering allows for the tracking of service authorizations and cost of treatment as it relates to clinical outcomes. Rethink serves individuals at all levels of development and ages ranging from point of diagnosis through early adulthood; assuring a smooth progress over the ages. Its third area of expertise lies in enabling students to reach their full potential by harnessing the power of the complete software management platform. The innovative and cutting-edge platform is used by school districts across the United States and the US Department of Defence through its military base school system worldwide. Serving all students with a special need as well as those requiring behaviour support, the Rethink program is used by hundreds of districts in all 50 states, ranging from large urban systems like New York City, San Francisco, Dallas, Denver and others, down to small rural districts as well. The Rethink program allows districts to fully meet Federal IDEA requirements as well as a variety of state-based legislative mandates to provide an adequate education to students with a special need. “The program also helps districts train staff and accurately measure the progress of a student population not subject to mainstream standardized testing. 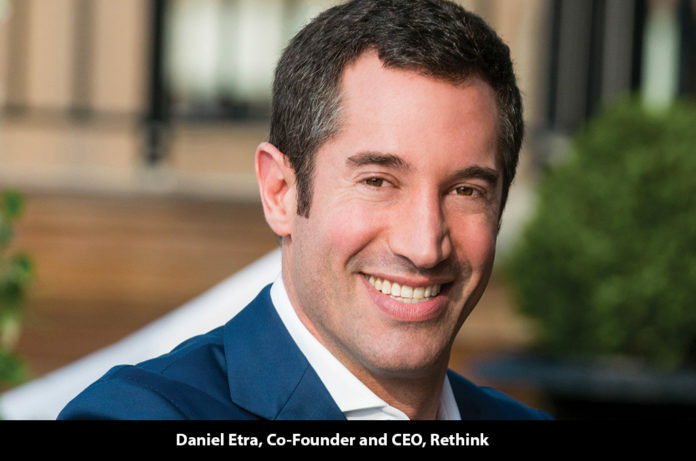 District clients have reported superior student outcomes and allowed districts to effectively and affordable serve these students in-district,” adds Daniel A. Etra, Co-Founder and CEO, Rethink. Founded in 2007, the novel platform is has been embraced by the market and is being used by a varied segment of customers such as Fortune 500 employers, government agencies such as the US Department of Defence, Managed Care organizations, Medicaid, federal, state and social service agencies, public school districts, and families nation- and worldwide. The Company has catered to a spectrum of organizations across several industry verticals during its tenure. For example, a well-renowned American multi-national corporation recognized that one of the most critical needs in employee benefits was supporting employees caring for a child with a developmental disability. The company partnered with Rethink and deployed the Rethink program, helping employees that make up nearly 20 percent of the workforce feel supported and more productive. Taking huge strides in this domain and gearing themselves up for the future, the team is currently working on expanding its core product offering beyond treatment tools and supports for dependents with a developmental disability and their caregivers to adults with a developmental disability, including supporting those individuals with a Neurodiverse condition in the workplace. Striving towards achieving excellence and continually endeavouring to improve the delivery of healthcare, the team has made a strong commitment to revolutionize this sector with its perfect blend of advancing technologies and skilled talent.